Are snow peas. This is the first year I have grown snow peas so I am pretty excited. I must admit, they are not the most prolific of crops but, in a way, that is a relief. We can, at least, keep up with them. We had a lovely stir fry last week and will, again, tomorrow night. It’s funny how “summery” they seem, compared to wintry roasted root vegetables. Is spinach. 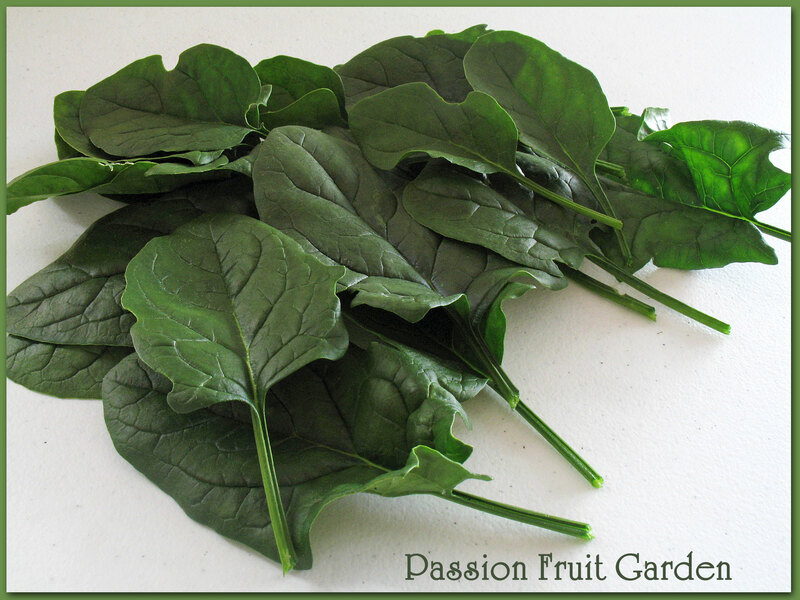 I needed a change from cooked vegetables so I went out to the vegie patch and picked some spinach to make a salad. Even though I have pulled out the tomato plants, I still have a big bowl of cherry tomatoes ripening in the kitchen. They, along with the spinach, a Lebanese cucumber, parsley and red onion went into the salad. Not typical food for a cold winter’s night but a welcome change. Are two pumpkins. They have lots and lots of friends, thirty two, in fact. We have eaten three, two rotted before I picked them and I have given one away. All up, thirty eight pumpkins. Not bad, since we grew them in two tubs made of zinc alume, jammed into the side of an embankment. The diameter of each tub was just 60cm. We filled the space with compost and I planted 4 x 2 seeds in each. When they were about five centimetres, I pulled out 4 seeds (which nearly broke my heart) so we ended up with eight plants. The plants were allowed to overflow and grow down and up the hill. It worked perfectly. I took the above photo about two weeks ago. Last week, the frost arrived and the plant just shrivelled up. I picked all the pumpkins and took them out of the weather. Here they all are under the house. They are so easy to grow. I didn’t even buy the seeds. 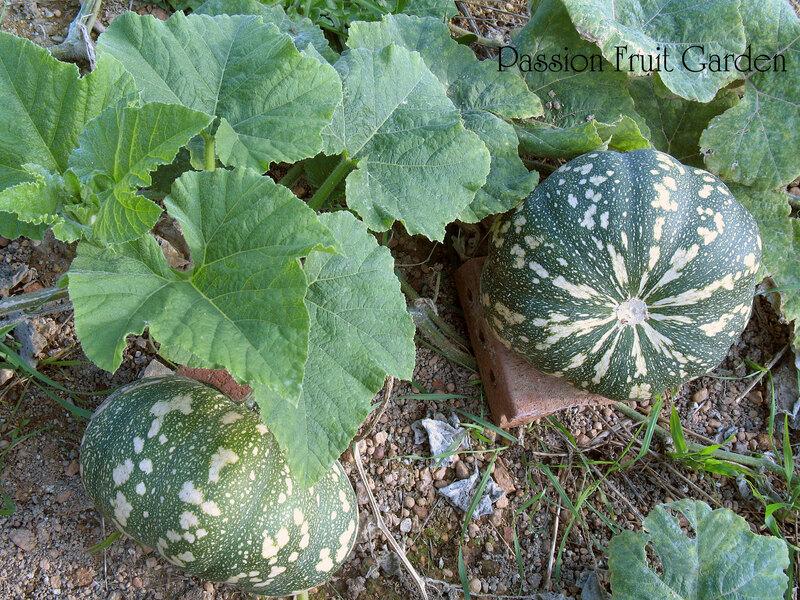 They were from one of the pumpkins Merle, my sister’s friend, gave me. With any luck, these guys will last the whole year. They are not, usually, stacked on top of each other like this. I had to squeeze them up for the photo. 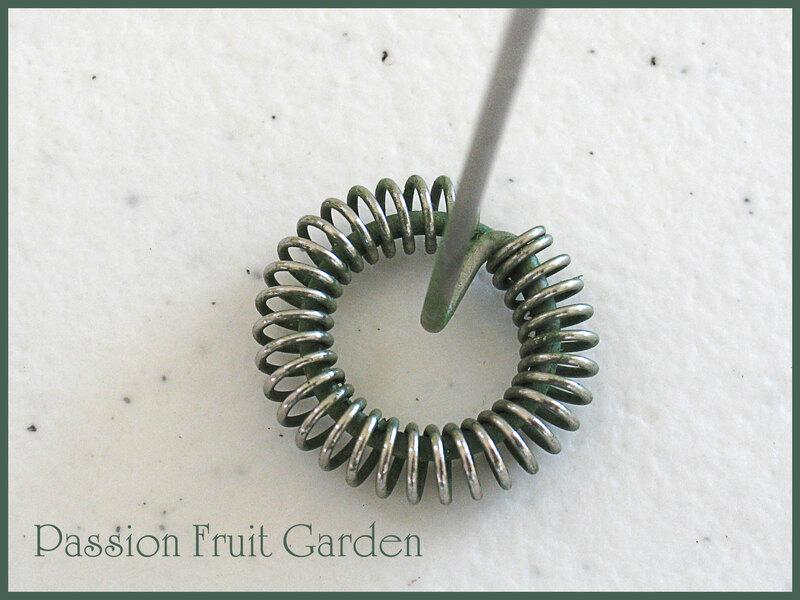 They are back to being in a single layer on mesh, with air circulating around them. Are two spicy pumpkin loaves. It is my latest favourite cake. There will, definitely, be a post on this cake. [Here is the post] I love it and it is so easy to make. I made one yesterday. 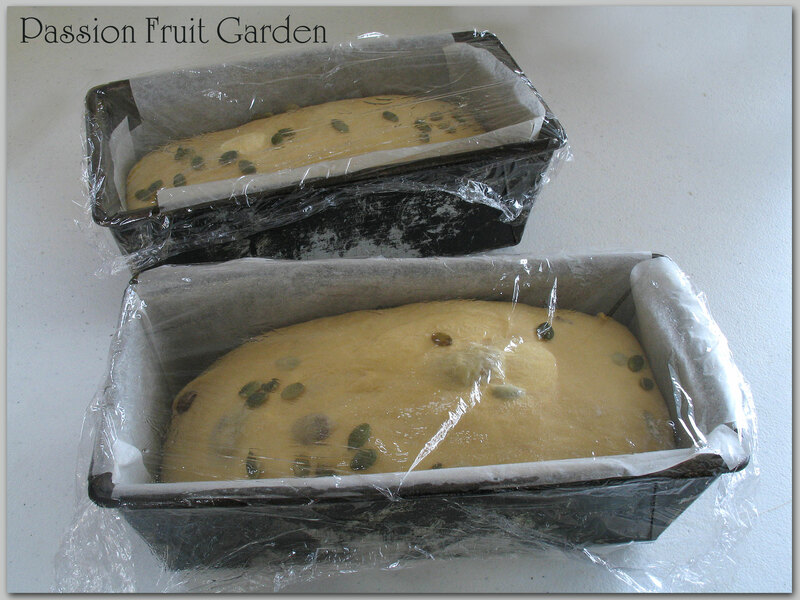 It was perfect – nice and moist and not too crumbly. Alas, we, with a little help from a friend, demolished it so I decided to make double quantity today. I am going to freeze one. I am still getting huge cracks in my cakes and don’t know why. Since it tastes so good, I don’t mind. The cake is perfect, slathered with butter. Were two loaves of bread proving. They are pumpkin sourdough loaves. Are you noticing a theme here? I always make the same recipe (this one) but, yesterday, I decided to make an effort and tackle something new. This recipe is from Teresa Greenway’s Discovering Sourdough. A couple of month’s ago, I said the silliest thing. I explained the lack of a haul from our Melbourne trip with the quip, “The kitchen is full”. That was a really silly thing to say. “What about the garage?? ?”, I hear you saying. “That is not full.” With my new soap making hobby, there are so many things to buy and Maus has relegated me and my soap making paraphernalia to the garage. There is so much room out there. 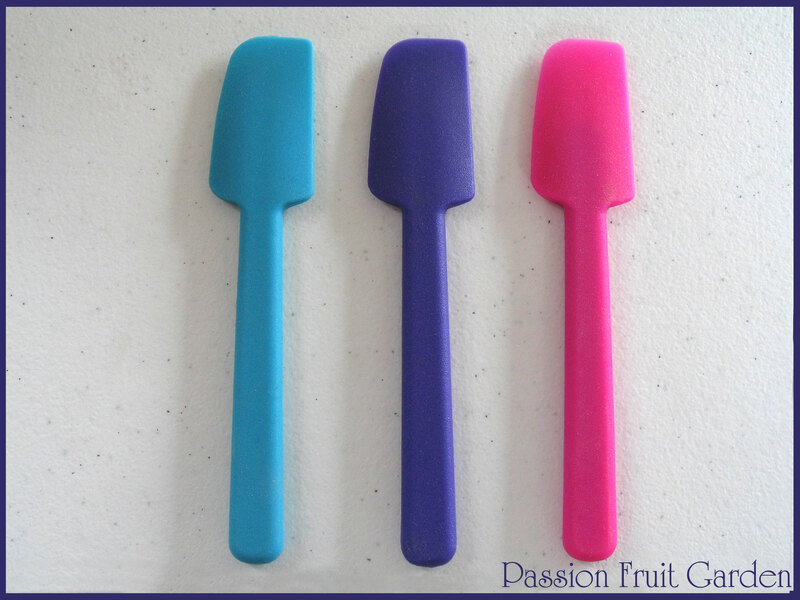 Are three very cute mini spatulas that I use to get into all the nooks and crannies of little containers containing colours and fragrances and additives and all sorts of soap making stuff. 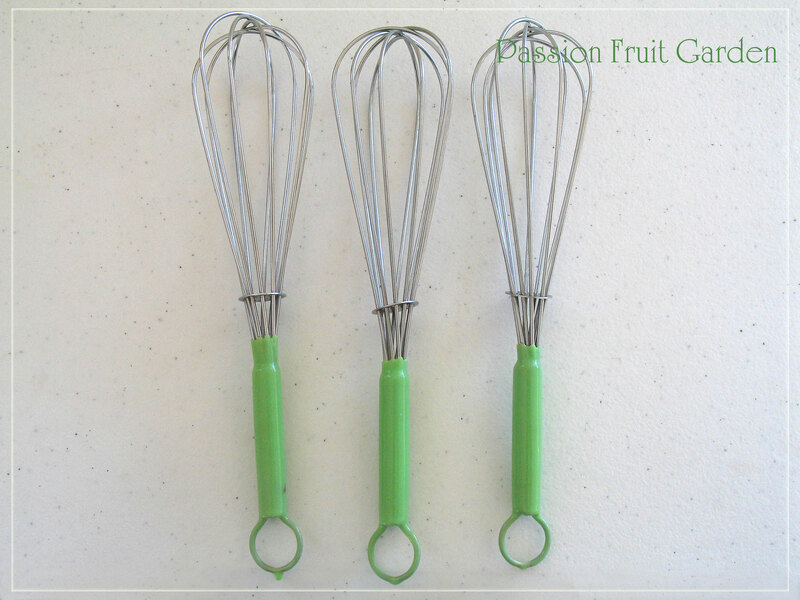 Are three small whisks that I use to stir colours, fragrances and additives into the soap batter. 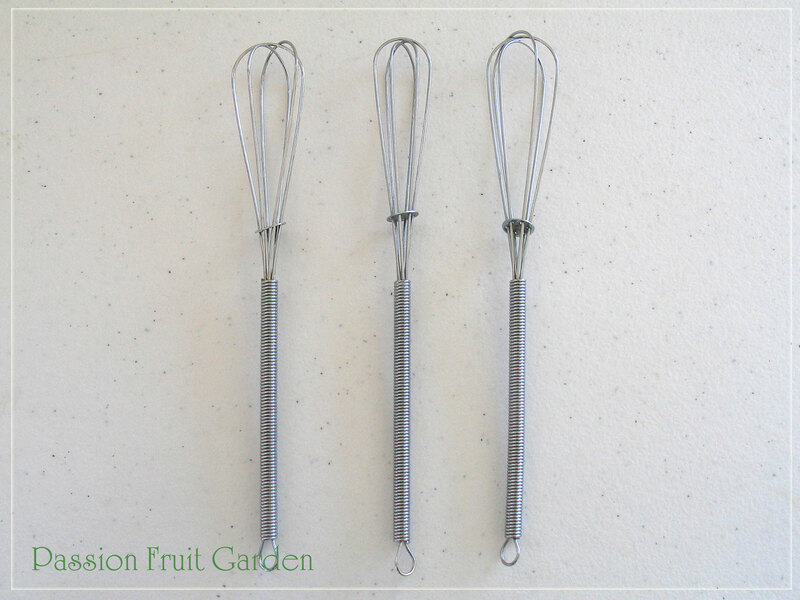 Are three teeny weeny mini whisks that I use to mix up colourants, etc. Is my latte mixer. Perfect to whip up a storm in a cup of coffee or oil with titanium dioxide. Is a cheese slicer. It is to make soap curls. It works pretty well. It may also be ok at slicing cheese but I am yet to try it for that. Is an extra wide peeler. I think it also may be good at making soap curls. 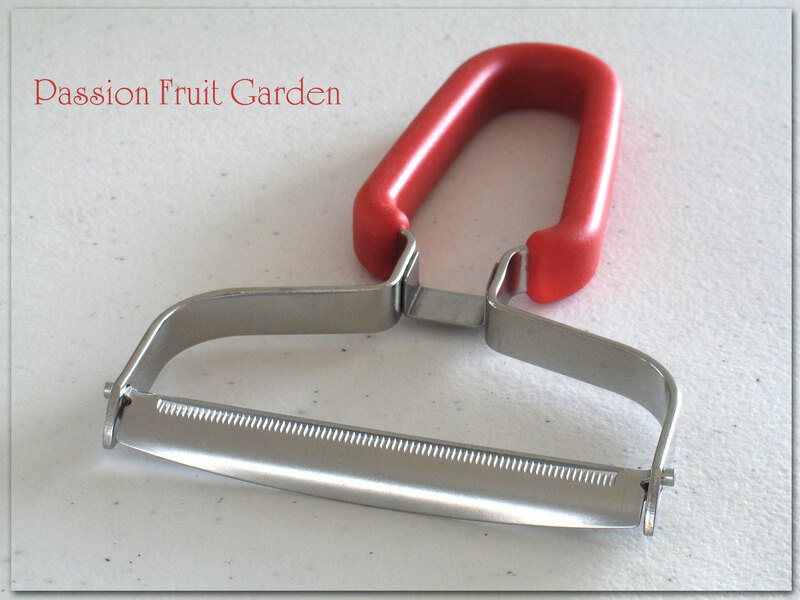 If not, I have another potato peeler for the (real) kitchen. 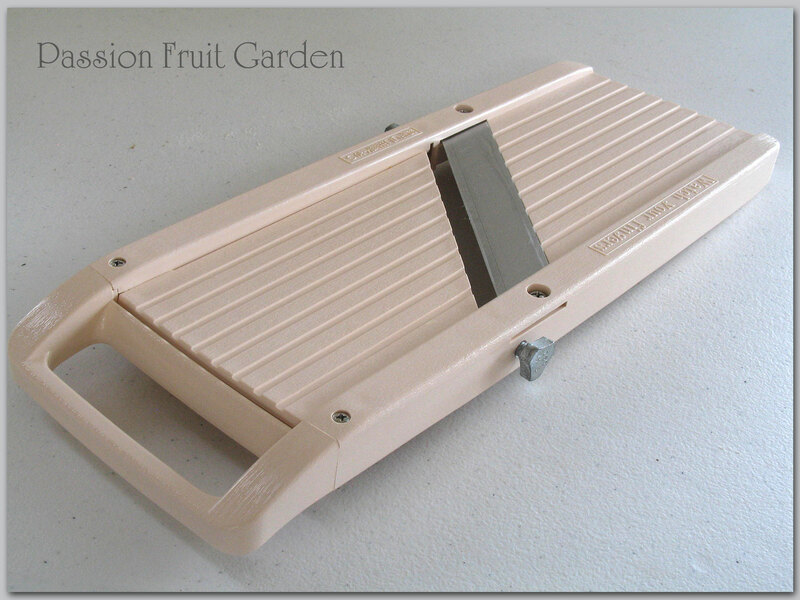 Is my Japanese mandoline. We have a Börner in Perth, which I think is fabulous, but Maus wanted to try something different in Bridgetown. We bought this guy in Sydney from Chef’s Warehouse. Until recently, I haven’t been particularly enamoured with it but, just last week, I discovered it is perfect for finishing my soap. It shaves a very fine slice off the soap, leaving it nice and smooth and professional looking. So, until Maus makes me a soap planer, I have appropriated the mandoline for my soap making. 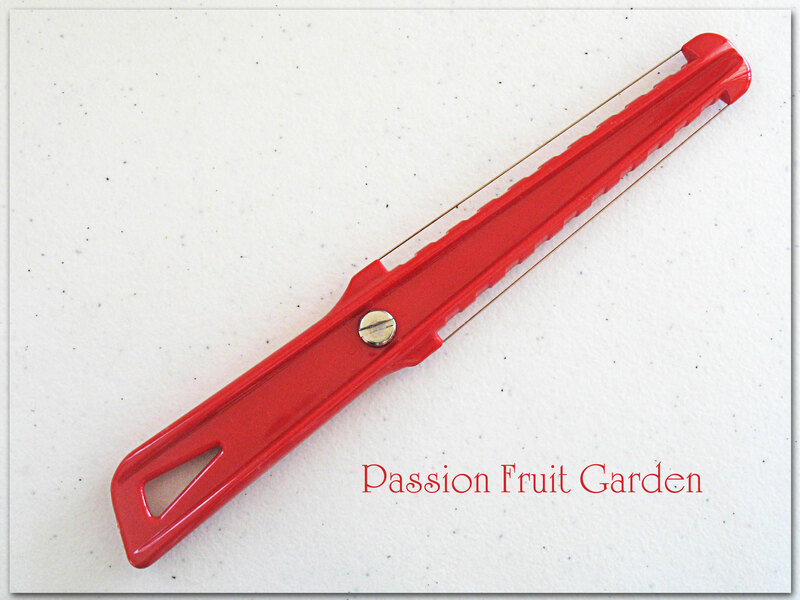 This entry was posted in In My Kitchen and tagged Best mandoline, paraphernalia for soap making, Soap making equipment by Glenda. Bookmark the permalink. Love all the fresh produce! 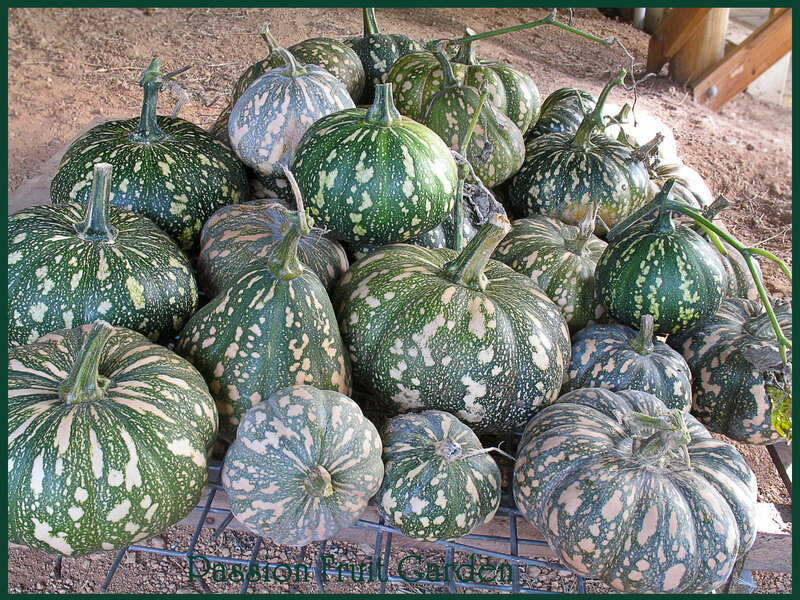 Wow, what a haul of pumpkins. So far we got one lonely pumpkin from our plant. We’ve planted more for later in the season so hopefully we’ll get some more. Pumpkin muffins are probably my favorite. Your pumpkin sourdough looks fantastic. Quite a few soap finds you’ve got this month! Hi Gretchen, pumpkin muffins are next on my list. Hi Nicole. The funny thing is, I don’t like pumpkin per se. I like pumpkin soup and pumpkin in things but not as a vegetable. Wow, so many things, Glenda! I love all your fresh produce, especially that incredible stack of pumpkins. Thanks, Christine. Good to hear from you. I love snow peas, one of my favorite things to eat. I’m looking at your pumpkins (congratulations on the pumpkin haul by the way) and they look a little different from what we have over here. Do yours turn completely orange? I notice one has an orange tinge but it also has a variegated coloring whereas ours are solid green then turn orange when ripe. Nice move on taking over the garage for the soap making and finding some cool gadgets for it too. We have a 2 car garage under the family room of the house and with the cars and lawn equipment plus snow equipment there’s no room for anything. I keep thinking how awesome it would be to build a 2 car garage with a craft/sewing/art studio above it. Just thinking mind you because I’m also saying that we need to dowsize. Maybe we need to downsize but with the right rooms that I need. Hi Shaheen. The pumpkin loaf is nearly all gone, I am afraid. Our snow peas are struggling this year. I doubt we will get a crop 😦 Glad to hear the pumpkins were all edible. Moya, It seems all my cakes have cracks. I have no idea why. They still taste good, I guess that is the main thing. 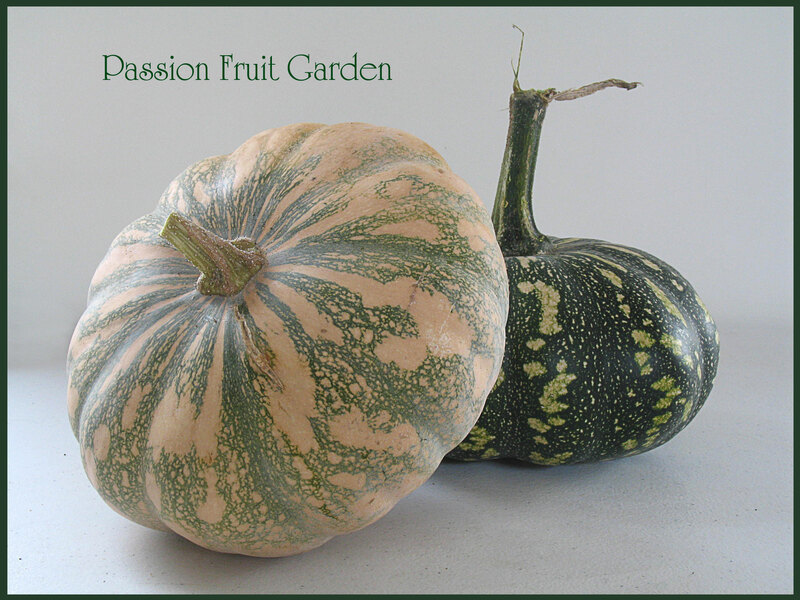 Wonderful produce – I love your pumpkin particularly – I once went to a house I had told had a vegie garden and all it had was an out of control pumpkin vine which amused me – and the sourdough bread sounds great with pumpkin. Also am amazed at all your soap gadetry – perhaps that is a reason not to start soap making because we really don’t have space. Johanna, you don’t need many gadgets to make soap. I just like to have them. Your posts are always so warm and welcoming Glenda! 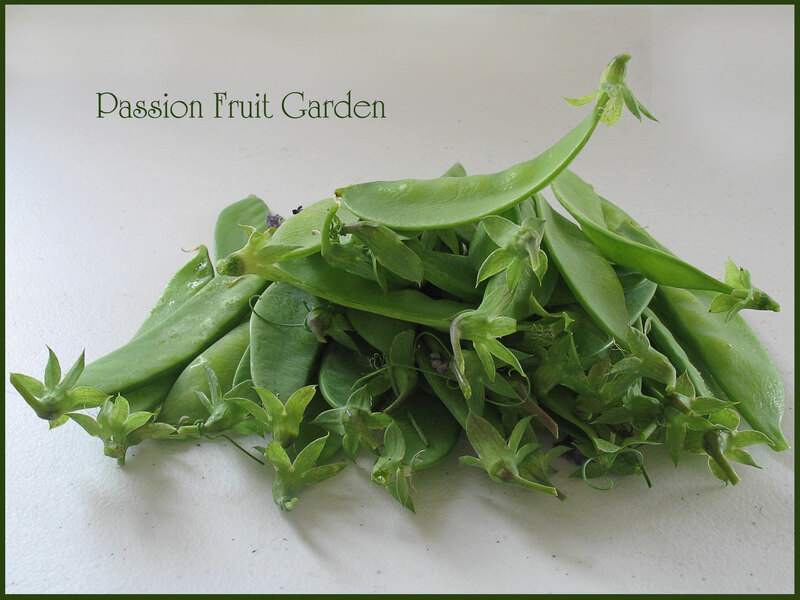 I have fond memories of picking snow peas when I was little! 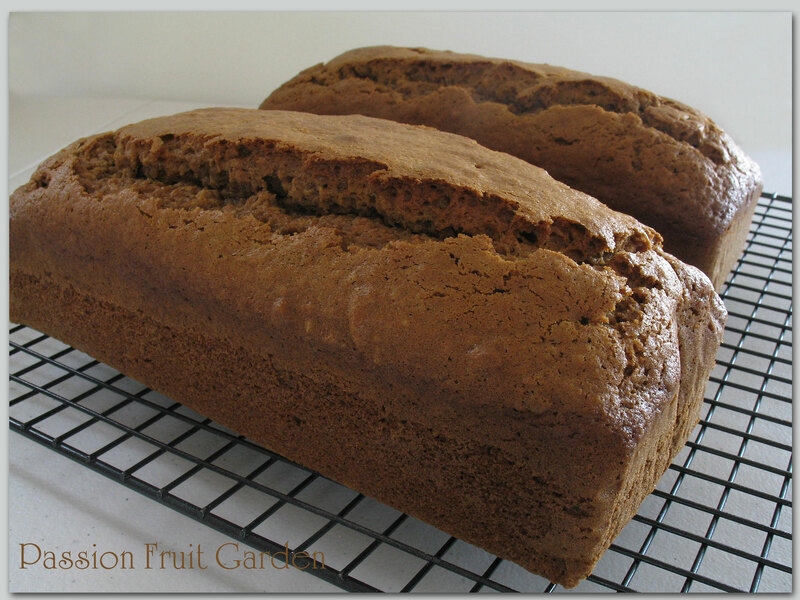 I love your gadgets and can almost smell you pumpkin loaf from here! Thanks Joanne and thanks for visiting. Elaine. I don’t think you can. My motto is, as long as I have the space, it can stay. What a bounty, all those pumpkins! I love the photos of all your kitchen utensils and the symmetry of them. Hi Jan, Our system worked well. They were in a small bed but were allowed to overflow where ever they wanted. Hi Kirsty, We can grow year round here. It’s no where near as cold as Canberra. Look at your pumpkin haul, fantastic! I like the sound of both your sourdough and the loaves a great use for the pumpkins. I’m now intrigued as to how to make soap and why so many whisks? Hi Vicki. If your soap is all one colour you don’t need so many whisks but more often than not people make multi-coloured soap in which case the soap is divided and different colourants are whisked into each portion. 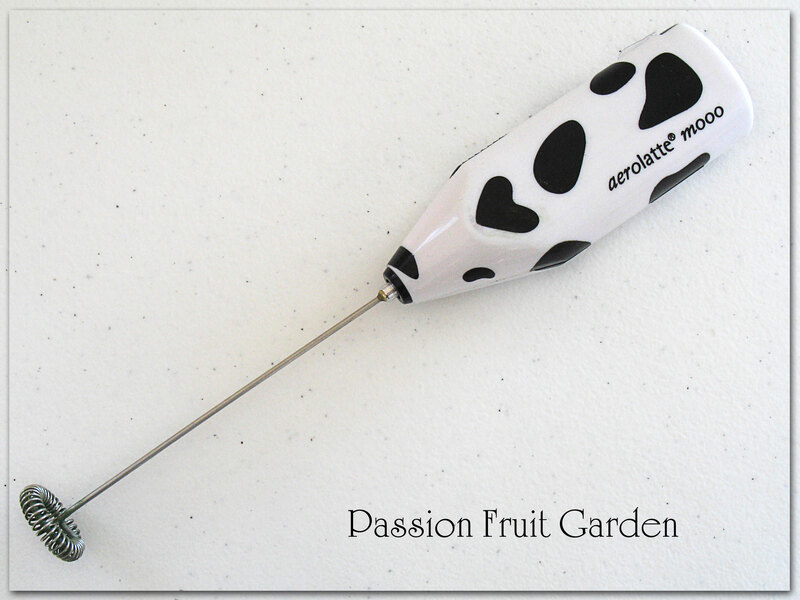 Love the “moo” handle on the latte mixer! Please post on the pumpkin sourdough bread! Always looking for more uses for the starter. I can’t believe you got 38 pumpkins. Hope they last the year! Hi Debi, Next post. So do I. I will have to check out the best way to store them. Those pumpkins are seriously impressive Glenda! I look forward to the pumpkin loaf recipe, they look delicious. 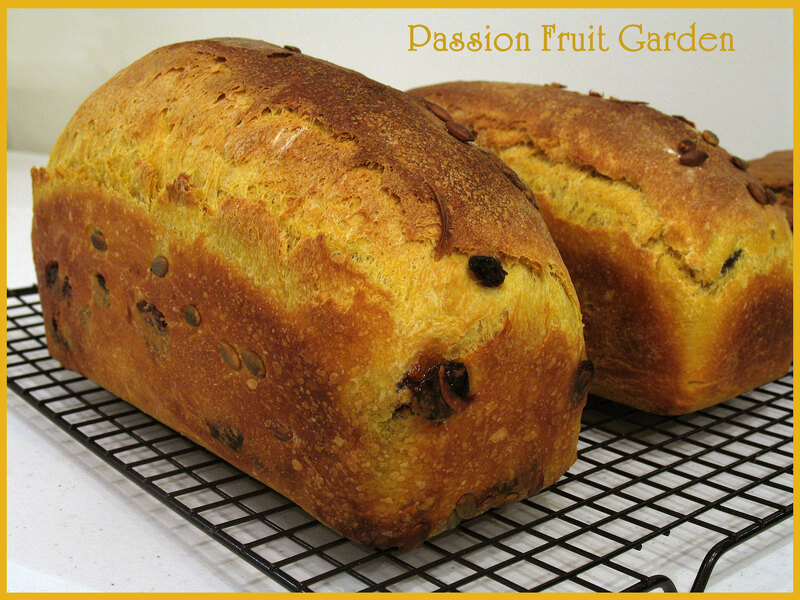 Pumpkin sourdough sounds interesting…yum! Happy cooking to you. Thanks Jane, I am really enjoying winter and baking. Your soaps are so very lovely Glenda – I can understand you’re ‘froth and bubbly’ about them – I’d really like to try it myself and your blog is now a wonderful source of information – but your soap curls intrigue me. Chocolate curls, butter curls – but soap curls – hmm. Hi Jan. Check out my post ‘Show and tell’. The soap curls are in the green soap. 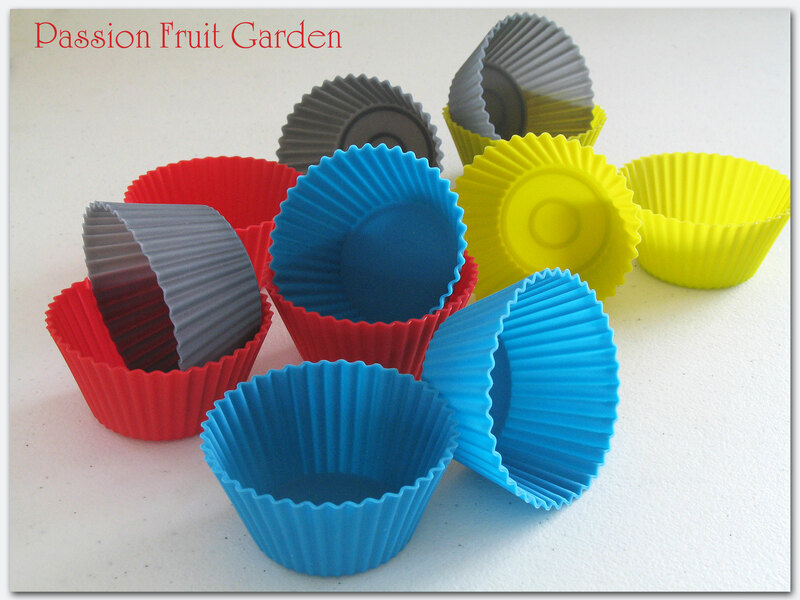 A lot of people decorate their soaps with them, especially if they make look-a-like cakes and cup cakes. If you want to try it, I recommend Anne Watson’s Smart Soapmaking. After that, there are hundreds of YouTube videos. I am really getting into it. So the pumpkins won’t rot if you leave them under the house with plenty of room for circulation? I’m looking forward to your pumpkin sourdough recipe. Your soap hobby is hilarious – it’s taking over the whole house. Hi Nancy, I have no idea about storing pumpkins (I should Google it) that was just me using my nous:) The pumpkin sourdough is next. The soaps sure are taking over the house. They are all lined up in the study curing. Have a wonderful holiday, Liz. Ooooh, annexing the garage for project studio and storage space sounds like a great move… and what wonderful gadgets you have for soapy projects! Thanks, I am a little addicted to soaping. I love all your gadgets (a weakness of mine). I will be keeping my eye out for your pumpkin loaf recipe. They look divine. Jenifer, I will probably post it next. It is really a winner. You have the most wonderful results with your veggie garden Glenda. awesome stuff. What wonderful produce! Your lucky family! For the pumpkin, I also recommend Martha Stewart’s pumpkin and sage cake. Thanks so much Josephine, I will see if I can find the recipe. I know what you mean about needing salad or different veges in winter, me too, but I do envy your pumpkin glut… we love them, and your garden seems so productive all year round. I don’t usually eat tomatoes in winter but have been buying gorgeous cherry toms at the markets and baking them… lovely. I dare not mention your post to the G.O. re the annexation of the garage. I have temporary use of his new shed for storage, and maybe a corner in the longer term but no more as I apparently have the whole house at my disposal! Hi Ella, only a corner! That is so unfair. I am so worried as soon as I run out of cherry tomatoes I will want some and have to go and buy them. There were thousands on the bushes but it is really too cold for them now. Very envious of your peas as a big fat pigeon sat on ours and what it didn’t eat, it flattened. So much soap equipment Glenda! Hi Anne, Bloody pigeon. I think parrots pulled out all my garlic bulbs. I am on a roll with the soap. I really like it.